I had the delightful experience of discovering your website on memories of the Big Four. My grandfather worked on the Big Four at Donovan. Family lore has it that he was a repair foreman for 90 miles of track out of that station. 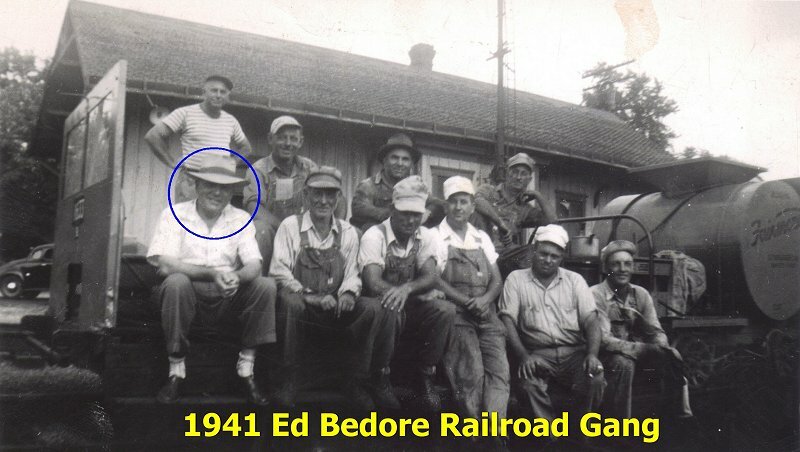 The attached photo is of Ed and his repair crew at the Donovan siding car house. I can't quite make out what the wording on the tank to the right reads. Copyright 2014 by Roger P. Hensley. All Rights Reserved.